All of these advantages can apply to cars and commercial buildings as well as to homes. With the window film sold and installed by Coastal Sun Control, you can have both daytime privacy and light in your home, car or business. We also offer special transparent film for retail stores and banks. 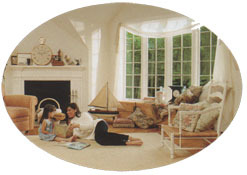 Call Coastal Sun Control today and begin to save money by having solar window film installed on your window. If this type of installion is of interest to you, or if you have any futher questions, please contact Coastal Sun Control of Myrtle Beach at (843) 448-3038.